Welcome to International Bird Rescue’s latest edition of Photographers in Focus, our tribute to the wildlife photographers who further inspire our passion for bird rehabilitation. 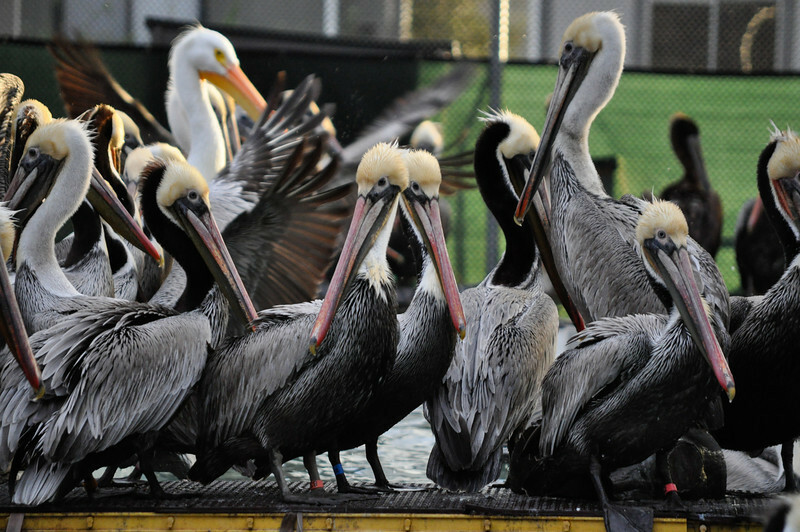 If you follow us on Facebook, you’ve seen the work of Marie Travers, Assistant Center Manager of International Bird Rescue’s Bay Area wildlife care center. We tend to post her photographs mid-afternoon, sometimes when we’re in need of inspiration. And she delivers. 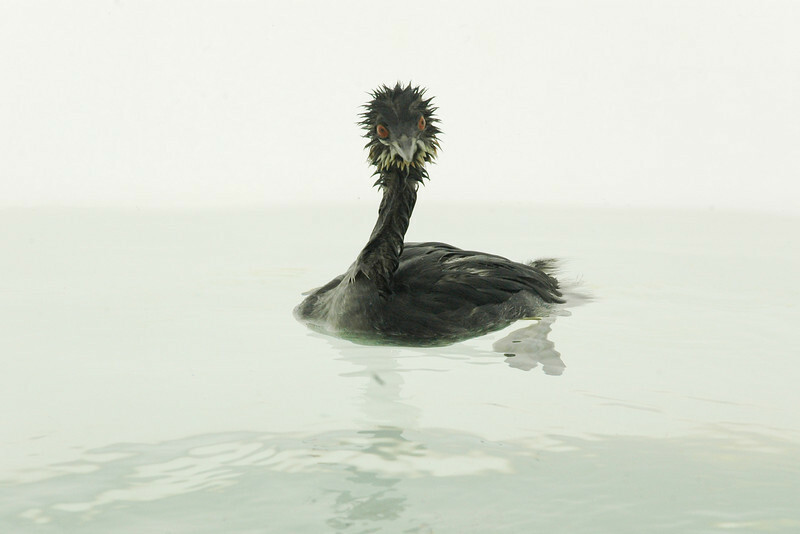 Travers’ images — many of birds recuperating from injury, bobbing around in pelagic pools, slumbering in an aviary or incubator — are at once sensitive and wonderfully raw. She even finds humor on occasion: Try resisting a smirk when seeing the bravado of American Bittern chicks or Green Herons mugging for the camera. 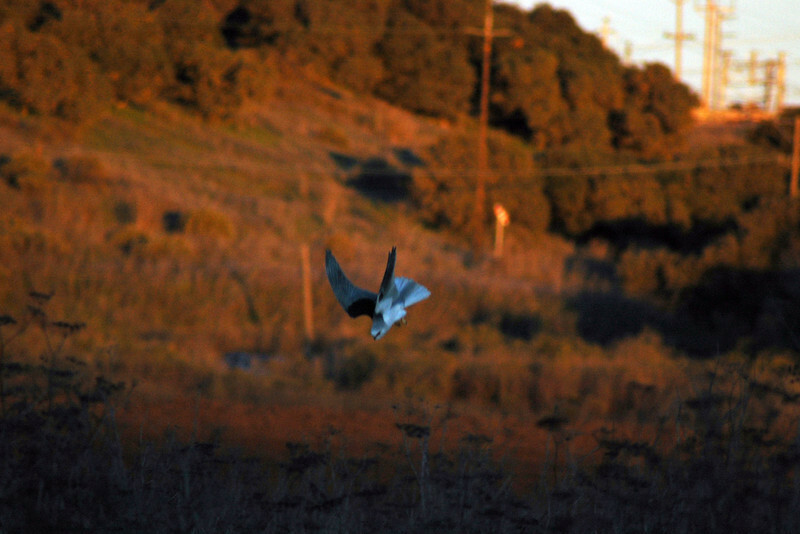 The spirit of our tagline, “Every Bird Matters,” resonates in each of Marie’s photos. Here’s her story. 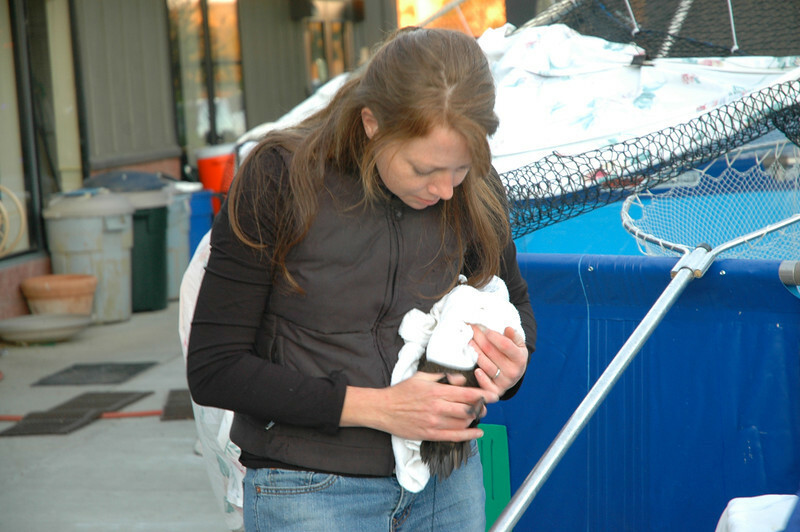 Travers: I started as a volunteer with International Bird Rescue in 2001, and instantly fell in love with aquatic birds and the work. Weeks before volunteering with Bird Rescue, I had never really heard of wildlife rehabilitation. Five months after I started volunteering, I quit my job of six years and dove into it. Working with aquatic birds has been one of the best experiences I have had in my life. I feel lucky to be in the company of such amazing birds, and the truly incredible people who care for them. I have learned so much and have had so many amazing adventures with Bird Rescue. I have a Nikon D5000, and also use my iPhone that I always have on me. I have a LifeProof case for my phone that I’ve been experimenting with and used to make some underwater video of Pied-billed Grebe chicks this summer. I am so grateful for digital cameras and technology. 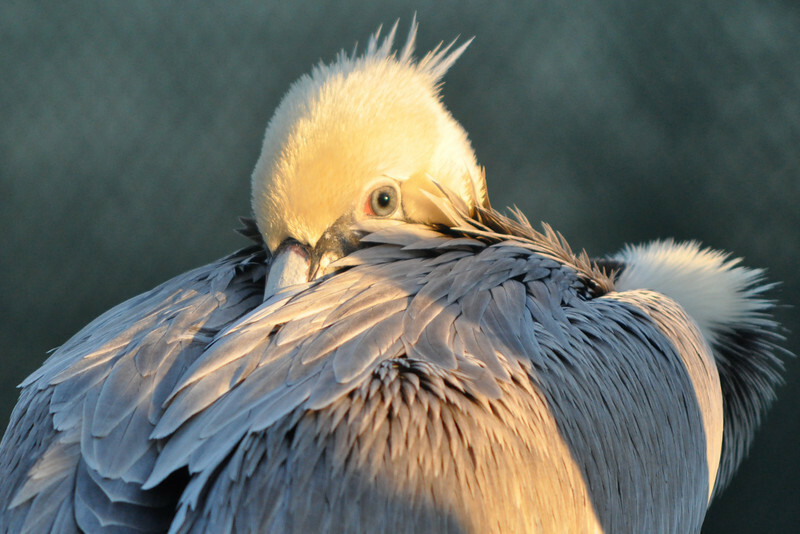 So far, I have taken over 20,000 photos at Bird Rescue, many of them blurry shots of birds moving. I wouldn’t be afforded the opportunities for second shots if I had to pay for processing. I was at the beach one morning with my husband and my dog, and my husband pointed to a distant, tiny bird in the waves and asked, “Is that a Red-necked Phalarope?” I think I spent a few seconds with my jaw open in shock that my husband, previously not a big bird nerd, was able to identify this awesome, small bird. She was so fierce in the face of waves 10 times her height. 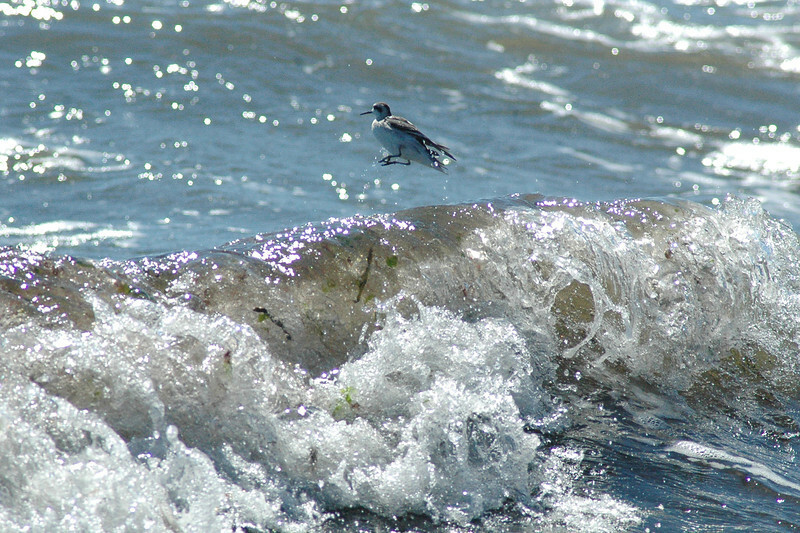 I really love the photo of the Phalarope surfing on top of the wave. As a species, I think Brown Pelicans are the most interesting to photograph. They have so many different looks, such expressive eyes, and are stunningly beautiful. I am also drawn to photos featuring our patients and the hands of their caregivers. I feel like these shots really capture the relationship between us. It goes without saying that photographing birds at the center is exponentially easier than in the wild, and I often feel that I’m being given an unfair advantage. Outside of the center, being at the right place at the right time is key. Carrying camera gear with you can be a burden, but so often worth it when you get to see something incredible by chance. A few months ago I went out to photograph some Ruddy Ducklings that I had seen earlier in the day and was met by an Osprey plunge diving instead. It was incredible, and of course, the ducklings were nowhere to be seen. Sacramento National Wildlife Refuge and the surrounding area is a breathtaking place to visit in the winter with all of the migratory ducks and geese. I also regularly visit the San Francisco Bay coast in search of cool birds. In the spring and summer, the egret rookery on Bayfarm Island in Alameda is bustling with loud, beautiful birds and tiny chicks in nests. Bird Rescue has released some Snowy Egrets near there that have gone on to start their own families in the colony, so it’s especially exciting to see them. It is such a privilege to be able to provide a tiny portal into the work of Bird Rescue by sharing photos of our patients. 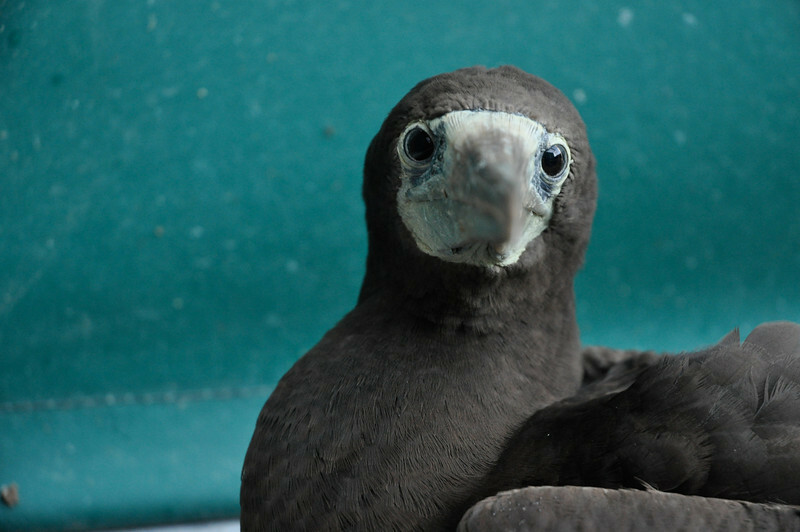 So many of the birds have incredible stories, and recover against all odds. It’s easy to become discouraged by the part that humans play in their reasons for coming to the hospital, and I feel lucky every day to try to help them in some small way. Part of the reason that I take photos at work is in the hope that if more people see the birds and learn their stories, they will be more able to see the connection between us, and feel compelled to act on their behalf. 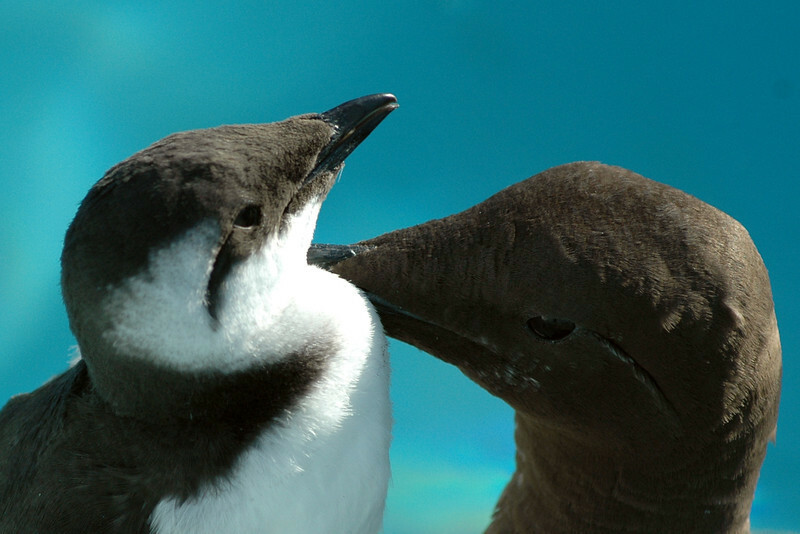 It is not easy being a bird these days, and there is a lot we can do to help. 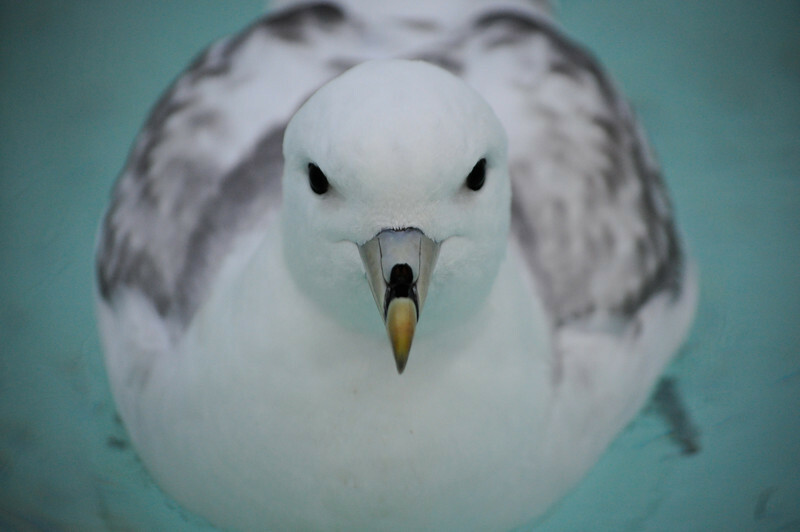 We look forward to featuring Marie’s future work on this blog, as well as the work of many other wonderful photographers who give their time and creative energy to aquatic birds in need at International Bird Rescue. All images copyright 2012 Marie Travers. All rights reserved. If you would like to be considered as a featured wildlife photographer for International Bird Rescue, or would like to recommend a photographer for this monthly feature, please e-mail Andrew Harmon at Andrew.Harmon@Bird-Rescue.org. And check out some of our previous featured photographers, including Matt Bryant of Florida, Robyn Carter of New Zealand and Christopher Taylor of Venice, Calif. This entry was posted on Friday, September 14th, 2012 at 5:51 am and is filed under Bird Photography, Photographers in Focus. You can follow any responses to this entry through the RSS 2.0 feed. You can skip to the end and leave a response. Pinging is currently not allowed. 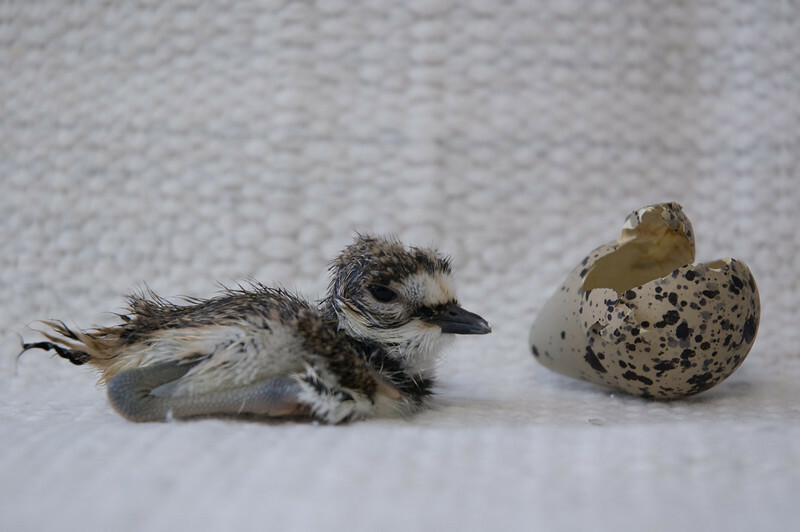 to be so close to a newborn killdeer … amazing. i wish i were in the room. such beautiful images! Truly fantastic photos; what lens? This is one of your best blog posts yet, BRC! Marie is amazing in many ways and you are so lucky to have her! Love these photos! Thanks, Marie, for ALL you do for the birds. Superb post! Marie’s photos are excellent and I don’t see how anyone could NOT want to help out IBR after reading this post! 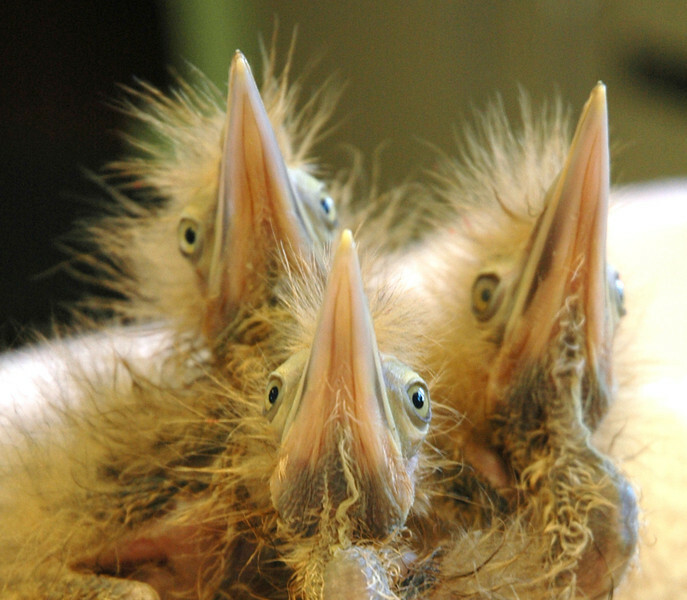 I laughed out loud when I saw the American Bittern chicks, already striking the pose 😉 I am looking forward to touring the Bay Area facility and meeting the staff as well as the patients. 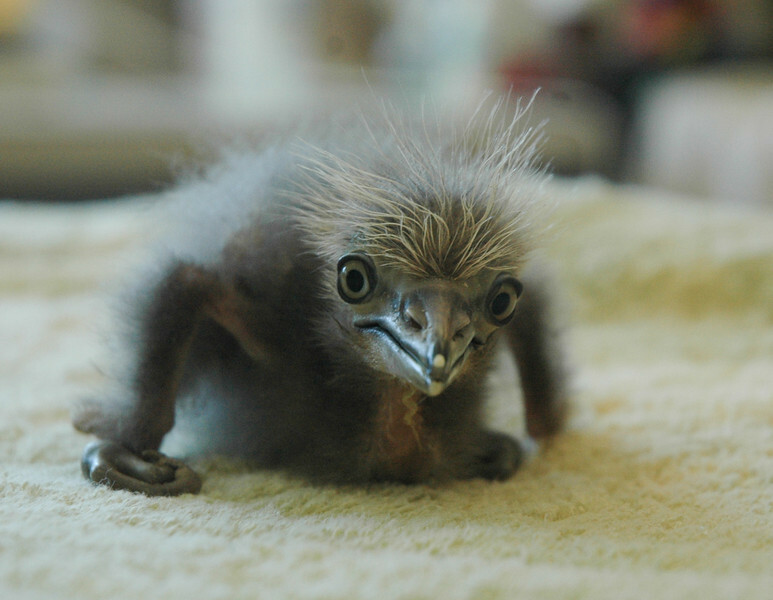 BTW, the Black-crowned Night-Heron chick is out of this world!